Talk about your chosen image? When was it taken? Where? Why did you take it? What did you think of your image once processed? 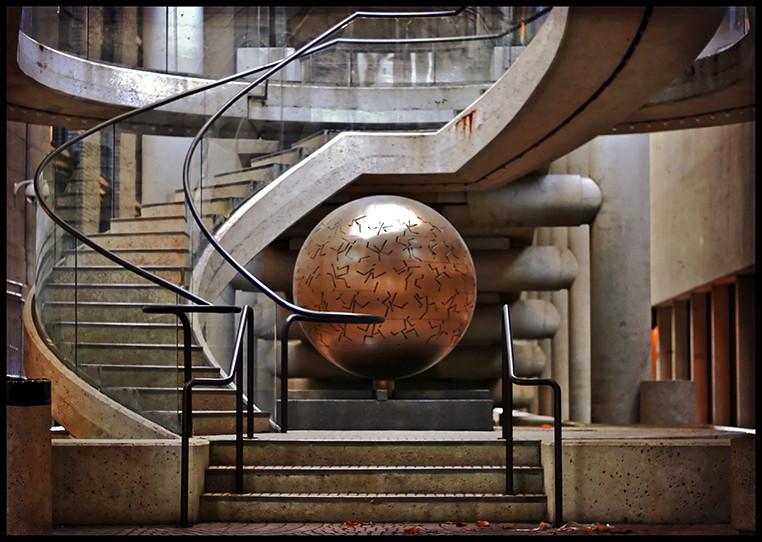 This photo was taken in an open stairway at the Embarcadero Center – a place that has always fascinated me. The Center is a failed urban experiment of concrete walkways, offices, and businesses. Built in the late 1960’s and 70’s, it’s bold and cold – a giant habitrail that never quite lived up the planner’s vision of warm and efficient workplace, shopping center, and gathering spot. The picture captures that – the massive power and abandoned coldness of the Center’s underbelly. CALIBER Through Their Lens: Bats1234.